This recipe is ideal if you’re looking for a rich, great tasting spiced sponge dessert with less sugar than traditional recipes. 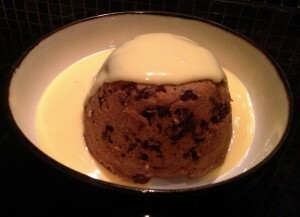 I tried making this low-fat as well as low-sugar, but the full-fat butter was imperative for getting the gooey, sensual taste you expect from a rum & raisin pudding. If you’re a diabetic or simply want to reduce your sugar intake, leave out the raisins. 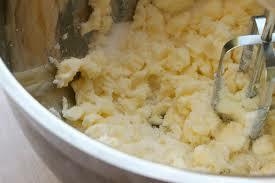 In a large mixing bowl, cream together the butter, almond meal and flour. Once well combined add in all the rest of the ingredients, minus the rum. Combine together until you have a slightly runny mixture. Now you can add half of the rum, and keep adding to taste. Divide the mixture amongst small ramekins, filling ¾ full. Place the ramekins in a shallow tray of water and bake in the middle of the oven for 20 minutes. Now you can make the custard… beat together the yolks, lemon, honey and vanilla. Once fully mixed, throw in 2 tbsp of the milk and continue beating. Heat the remaining milk in a saucepan until just boiling. 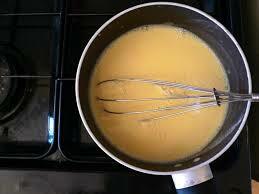 Pour the hot milk over the yolk mixture and mix rapidly (otherwise you’ll end up with scrambled eggs!). Return all the mixture back to the saucepan and place over a low heat. Keep mixing this until it’s thick enough. Don’t mix or heat it for too long as it will likely curdle. Leave the mixture to cool, then strain to remove any lumps.